This recipe also calls for Mexican vanilla beans, which have a smooth, creamy flavor and a unique, woody spice profile that you won’t find in other varieties of vanilla beans. Did you know Mexico is considered the birthplace of vanilla? The vanilla orchid flower was first cultivated by the Totonac Indians, who were then conquered by the Aztecs. For at least several centuries after the Spaniards conquered the Aztecs, and had already brought vanilla beans back to Spain for the rest of the world to try, vanilla was still exclusively cultivated in Mexico. If you don’t have access to Mexican vanilla beans or don’t want to buy them online, you can also substitute Madagascar Bourbon vanilla beans or bottled pure Mexican vanilla extract, which is available in my store. Atoles can be made with different kinds of corn, as well: white, yellow and even blue corn can be used. And in some recipes, water or nut milk can be substituted for dairy milk. Many Mexican markets sell store-bought atole packets that are thickened with cornstarch and take just a few minutes to make, but making your own atole from scratch with Maseca instant corn flour is so easy you’ll never want to buy one of those store-bought envelopes again. This version gives you all of the taste of atole made from scratch without having to grind your own nixtamal and turn it into masa, and then dissolve it in cheesecloth. 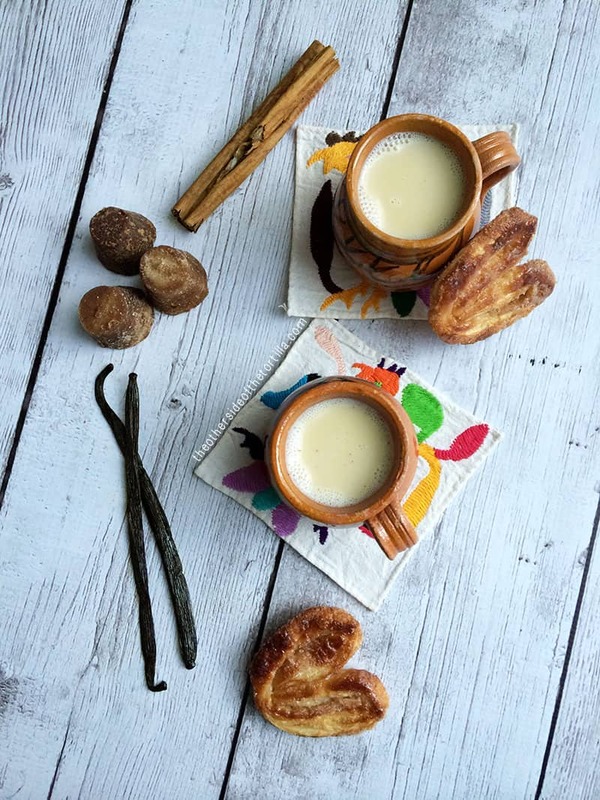 A note: Real vanilla bean makes a world of difference in this atole de vainilla recipe, but if you can’t find one, you can also substitute one tablespoon of vanilla bean paste or pure vanilla extract. If substituting pure vanilla extract, add that to the saucepan in the last five minutes of cooking and whisk to incorporate. Depending on how sweet you like the atole, you can add three to four ounces of piloncillo. If you find that four ounces is too sweet, you can dilute the atole with another half-cup of milk. 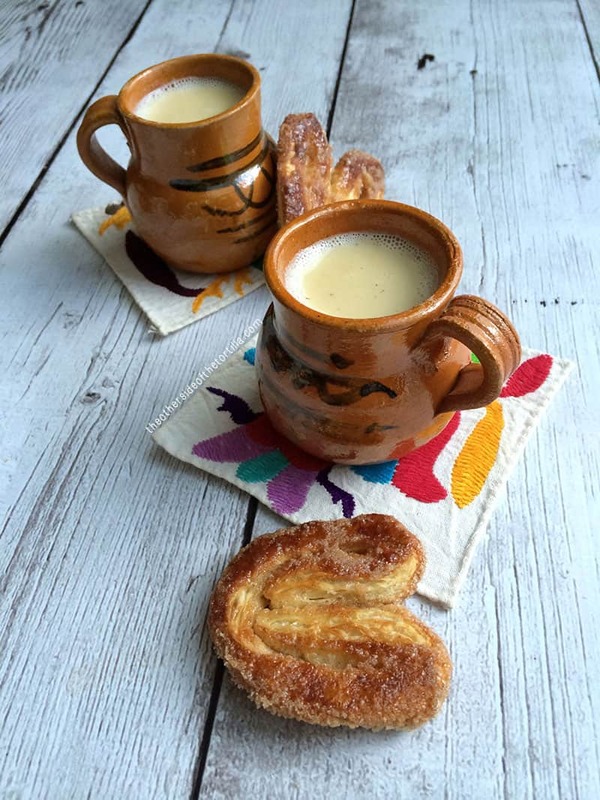 Atole de vainilla is a traditional masa-based hot beverage, popular during the holidays, and made with milk, piloncillo, vanilla bean and Mexican cinnamon. In a saucepan over low heat, combine piloncillo and water and stir occasionally until piloncillo is completely melted. Whisk in milk, Maseca and vanilla bean until Maseca is dissolved and incorporated with the piloncillo mixture. Submerge a Mexican cinnamon stick. Reduce heat to a simmer and continue stirring frequently for 30-35 minutes. Remove from heat and pour through a fine mesh sieve and serve in mugs. To substitute real Mexican vanilla bean, you can use a Madagascar Bourbon vanilla bean, or bottled pure Mexican vanilla extract. I like the Nielsen-Massey brand extract. To substitute for real vanilla bean, use one tablespoon of vanilla bean paste or pure vanilla extract. If substituting pure vanilla extract, add that to the saucepan in the last five minutes of cooking and whisk to incorporate.